Masses: 11.30 a.m. and 5.00 p.m.
MASS: 8.25 a.m., 12.10 p.m., 1.10 p.m.
CONFESSIONS (HOLY MONDAY-GOOD FRIDAY): 10.00 a.m. – 12.00 p.m.
HOLY SATURDAY: 10.00 a.m. – 12.00 p.m.
followed by Adoration of the Reserved Sacrament till 9.00pm when the chapel will close. The Shrine opens at 8.30am. Stations of the Cross at 11.00am. Liturgy of the Lord’s Passion at 3.00pm. Office of Readings and Morning Prayer at 9.00am. 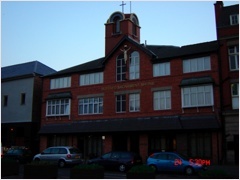 Masses at 11.30am and 5.00pm. The Shrine opens at 10.30am. Masses at 12.10am and 1.10pm.